Reading: LEAP, which is a literary project built around the extra day we received this year- Feb 29th! This is a novel put together by 29 writers, spanning Kuala Lampur, New Delhi, London and Vancouver, and written in 24 hours flat. An initiative by Spread The Word, London, the e-book is available for download on their site. I downloaded my copy today and am thoroughly enjoying it! Loving: The Artist. I know, I’m later than the Academy! It was on my list, but after the Oscar wins I had to watch it ASAP. It is a DELIGHTFUL film. I have not used that word in a long time now, and this film delights in every way. Jean Dujardin is dapper and lovable; but it’s Uggy the dog who steals the show. Please watch it RIGHT NOW if you haven’t! Watching: This stop-motion animation video, which is actually a wedding invite, set to Ingrid Michaelson’s The Way I Am. Adorable!! Browsing: The Dior mag. Yes, the House of Dior has gone digital, just a few days ago, in fact. The digital magazine contains everything Dior, from the history of the house and it’s creations to live streaming of fashion shows. Pretty neat, huh? Listening to: Across The Universe soundtrack. I’m feeling mellow and retro. I would love to see “The Artist” as well. Apparently you have another Masala follower now. Can’t wait to read some of your recipes. Also need to check out the Leap now. Hey thanks for stopping by, Kiran! I’m glad to have found a fellow masala blogger 🙂 Look forward to reading more from your site. I really need to see The Artist, I keep hearing amazing things about it! I actually borrowed it from a friend and watched it at home- I haven’t been to a theatre since the beginning of my last trimester! Over a year ago. Great list! 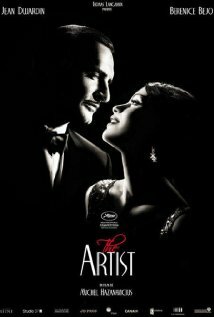 Haven’t watched the Artist as yet myself! Looking forward to a trip to the theaters this weekend! Hope you caught it, Madhu! Have to watch the Artist and check out what Leap is all about. Thanks!